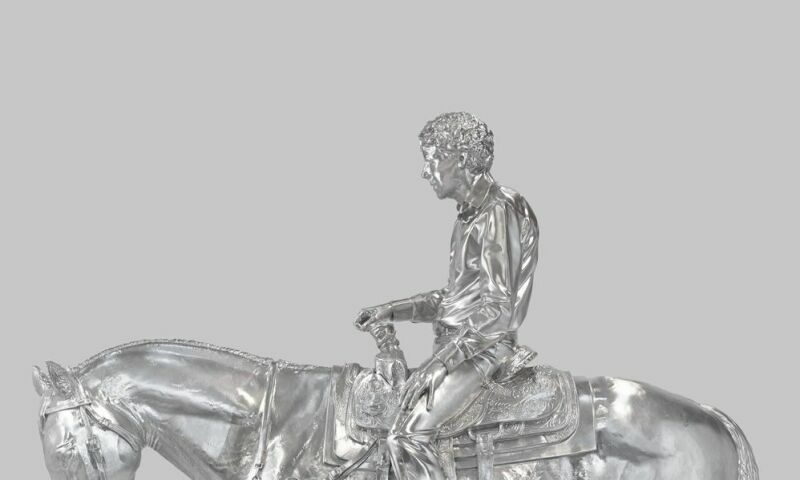 Charles Ray, Horse and Rider, 2014, © Charles Ray, Courtesy Matthew Marks Gallery. Charles Ray (Chicago, 1953) is known chiefly for his enigmatic sculptures, through which he questions viewers’ perceptive judgements in a jarring and unexpected way. Setting out from objects and proximate daily references, Ray works with scale to contest ingrained and stereotypical forms and discourses; for instance, in Family Romance (1993) he depicts a canonical family: a heterosexual couple and their two children, a boy and a girl, all naked. In subverting the scale of the children, who are the same height as their parents, the artist underscores an altered perception of idealised normality. Although the bulk of Ray’s work encompasses sculptures and installations, in the early days of his artistic career he experimented with more performative pieces, for instance Plank piece I & II (1973), in which his actual body is part of the sculpture.